He told newsmen the administration is "functioning beautifully" despite talk about direct links with the Putin administration. Trump also defended his son, who it has emerged met a Russian lawyer during the election campaign. US media describe the White House as being in chaos over the story, with a Trump ally calling it a "Category 5 hurricane", the Washington Post said. 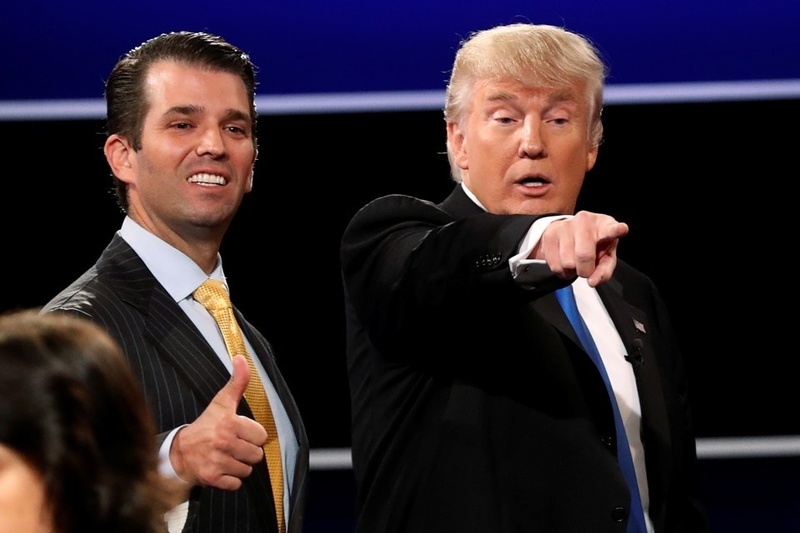 Donald Trump Jr met Natalia Veselnitskaya believing she had information that would damage his father's opponent Hillary Clinton. Mr Trump Jr said the meeting was "such a nothing", and "a wasted 20 minutes", but accepted he should have handled it differently. Some critics say he may have broken federal laws.